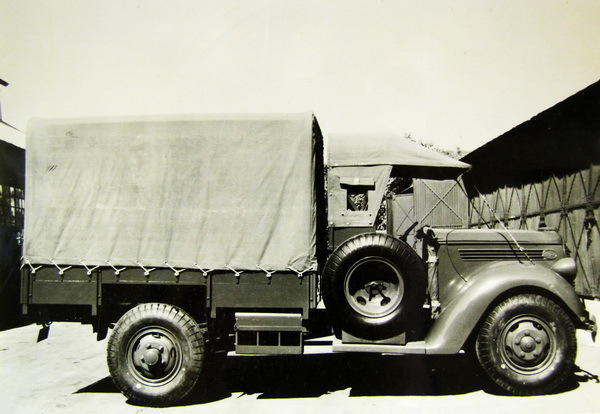 When, in 1937, the Department of National Defence (DND) went seeking a 15-hundredweight (15-cwt =3/4 ton) General Service truck, they had hoped to have both major Canadian automobile manufacturers work together in order to develop a common design. This hope was based on DND’s need to have a standardised vehicle available from domestic manufacturers to meet the Army’s needs in case of mobilisation. As a result, General Motors Canada and Ford Canada set aside their natural competitiveness and worked closely together. Each delivered a pilot model in 1937that shared many parts. However, when DND asked each company to quote on 51 trucks (divided as 26 for Ford and 25 for GM), Ford, surprisingly, declined to bid and the entire contract was awarded to GM. This situation was not welcomed by DND who felt that Ford had not demonstrated an ability to produce, in any quantity, a military pattern vehicle that would be needed for a war which was almost certain. In order to bring Ford into the fold, DND justified a “sole-source” acquisition based on two factors; that the 1937-38 contract had been intended to be split between the two companies but this did not occur and, by awarding a similar sized contract to Ford for the 1939-40 contract, Ford would gain valuable experience and provide DND with two potential suppliers “for emergency production”. However, Ford was a reluctant partner. In late September 1938, following delivery of the GM trucks, DND wrote to Ford and asked that they provide a quote on a quantity of 15-cwt trucks. As the budget had not been finalized at this point, Ford was asked to submit prices for 20, 40, and 60 trucks. These were to be built to the British War Office specifications that had already been supplied to both GM and Ford prior to the 1938 contract. 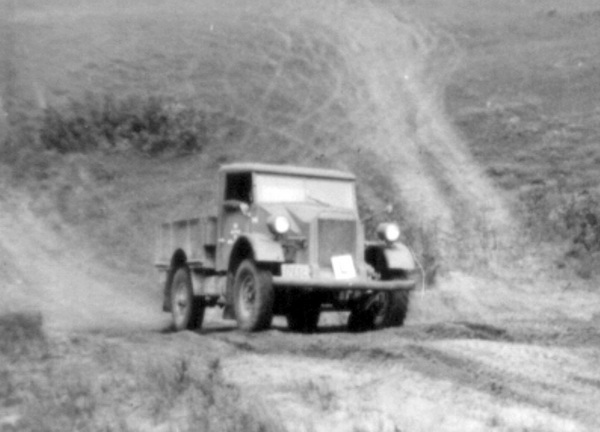 In keeping with DND’s strategic desire to build a national capacity for military vehicles, the letter stated that, while GM had supplied trucks equipped with tires from both the Dominion Rubber Company and the Firestone Tire & Rubber Company, Ford was to “arrange to bring into production at least one other company, and possibly two, depending on the number of vehicles finally ordered”. 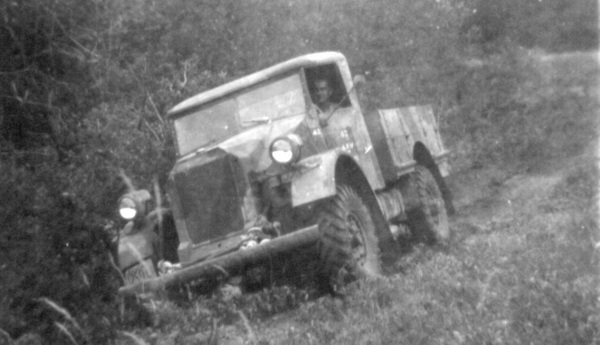 One of the 50 Ford 15-cwt trucks contracted for in 1939 and delivered in early 1940. Photo courtesy Colin Stevens whose father, Lt. Stevens, is shown standing on the far right. Ford remained surprisingly silent on this request to bid, and only replied after DND asked them again in February1939. Ford’s reply, signed by A.S. (Stan) Ellis, Ford Canada’s Service Manager, was both unexpected and unwelcome. Ellis, in a four-page letter, argued against building to the requested military specification, believing that a standard commercial truck should be acceptable to the Canadian Army. His arguments in favour of this included not just the cost but also the impact on Ford’s labour force, the effect on their commercial production, and the fact that Ford had recently supplied a large number of 244 15-cwt trucks to India, which differed from their standard model only by the provision of 9.00×18 tires which Ford obtained from their British affiliate, and special hubs to accommodate these. The truck proposed by Ford featured a 116-inch wheelbase and, intriguingly, a charge of $11.25 for “front fender alteration”. This is the first reference to the body style for which, by the end of the war, Canadian military trucks would be known world-wide. 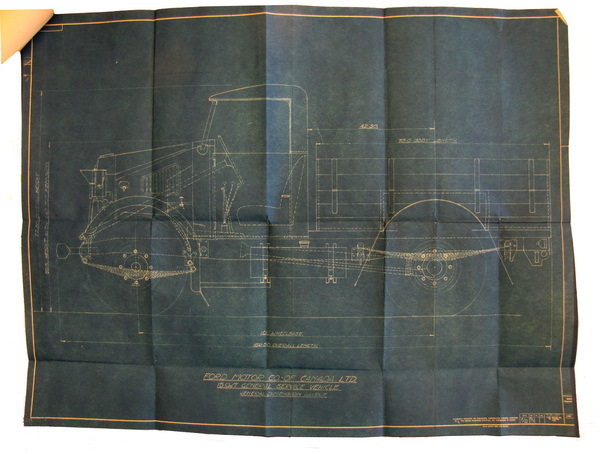 The question of body design had not previously been mentioned in Canadian contracts but, following a 1938 visit to Britain by Col. Carr, a suggestion was made to standardise on a common cab for Canadian military vehicles. The style identified at the time was that of the Quad Ant. The 51 trucks delivered that year from GM used a straight ‘box’ design and neither Ford nor GM had given any consideration to a common cab design. DND studied the Ford proposal and found that there was no advantage to accept the quote as presented. Although the truck would be useful for training purposes, this was equally true for trucks made by any of the other Canadian manufacturers. 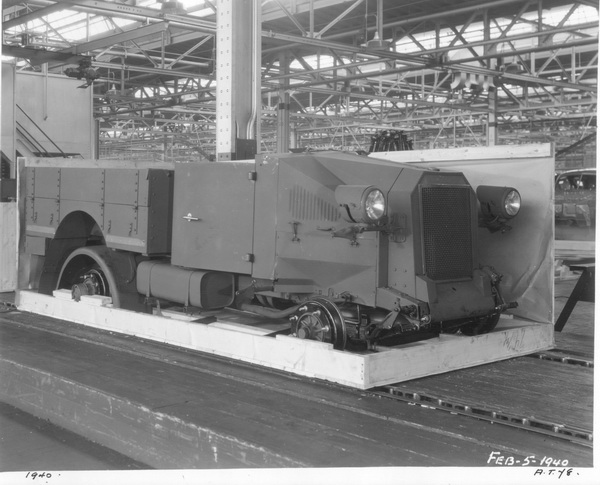 The analysis of the proposal showed that the wheelbase was 10 inches longer than the specification and this would affect the vehicle’s cross-country performance, the commercial-style cab limited aerial observation and did not allow a light machine gun to be mounted on the cab roof, the truck’s height would require the wheels to be removed in order to fit between the decks of a ship, and light armour could not be mounted to provide protection to the engine and radiator – all requirements of the specifications. But more importantly to DND, the purchase of these commercial vehicles would not accomplish the goal of providing Ford with experience in building a vehicle to military specifications. The fate of Ford’s quote was sealed when the Chief of the General Staff wrote, “If Ford cannot supply them [military-specification trucks] … we should endeavour to get them elsewhere”. Advised, by telegram, of DND’s position, Mr. M.H. Holden, Ford’s manager of fleet sales, visited Col. Carr in Ottawa, and promised that a new quote would be provided as soon as Ford could identify suitable suppliers. Carr reported this up the chain of command and suggested that “some credit should be given [to Ford]” and that it should be appreciated that the “motor industry in this country has very limited facilities for evolving design”. Ford’s new quote was for a 101-inch, Cab-over-Engine (COE) chassis, complete with wheels, hubs, and tires. Absent from the quote was a cab or any sheet metal beyond the two gas tanks and body. Ford however, offered to supply blue-prints for the cab at no cost, which DND could then contract with another supplier. Ford argued that the cost of tooling for the production of such a small number of bodies was not financially feasible. Once again, DND found itself with an unsatisfactory solution proposed by Ford. Within days of receiving the latest Ford proposal, Ellis and Carr met face-to-face. Carr made it very clear that DND sought to purchase a complete vehicle from Ford, which would allow DND to supervise a single contract and to avoid situations where different suppliers blamed other suppliers should a problem arise – such as the fit of the cab or body to the chassis. Chastened, Ford promised to co-operate with the Department and they promised to look into the possibility that the company itself would establish tools and dies for the production of the sheet metal components. 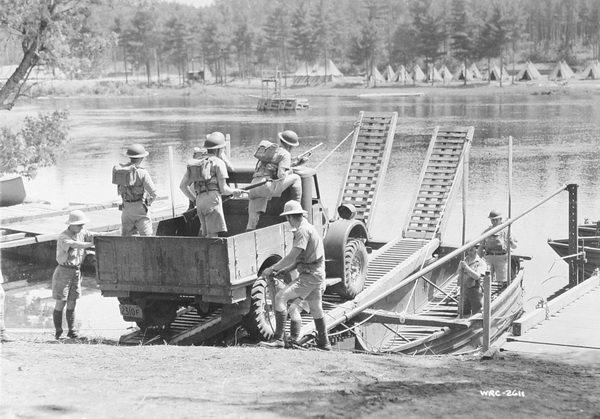 Certainly Ford had some experience in providing a similar body as they had, in 1938, supplied a trial artillery tractor for the Canadian Army, built in cooperation with Britain’s Scammell Lorries Ltd. In August 1939, with war just weeks away [comment – this is hindsight], Ford came back with another quote, which now included both a cab and a body, although Ford declined to supply a canvas top for the cab. Within weeks, Major G.P. Morrison, a staff officer in the Directorate of Mechanisation and Artillery, penned a memo to the Chief of the General Staff seeking approval to issue a contract to Ford for 50 vehicles. This memo is interesting, not so much for the history of the process or the justification for the purchase, but because it is the first documented use of the term “DND Pattern” when referring to the truck. This suggests that the Ford vehicle met most, but not all, of the British War Office specifications and basically sealed the Ford design as a Canadian specification, insofar as body, chassis, and running gear are concerned. By 1941, the term “DND Pattern” was officially changed to “Canadian Military Pattern” – the CMP. Early in October, the Defence Purchasing Board issued a contract to the Ford Motor Company of Canada to supply 50 trucks, 15-hundredweight, at a unit price of $2,119.21. Although the original quote stated that the trucks would be painted “Dulux” 22, the contract was amended, by hand, to read “Khaki Green No. 3”. 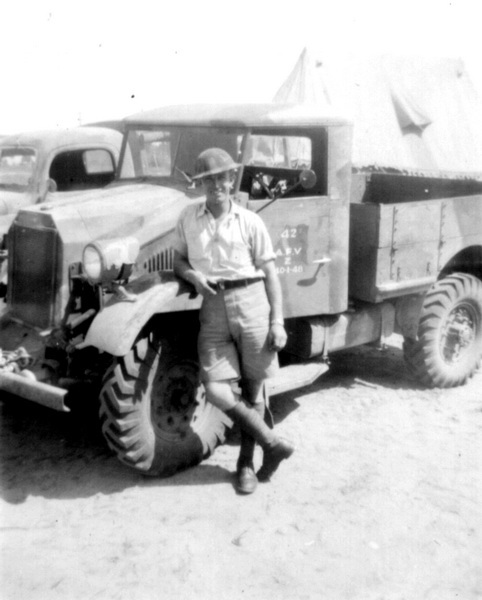 It would be early 1940 before the first of these trucks were delivered to the Canadian Army and, although additional orders were issued to both GM and Ford, these orders were for relatively small numbers. 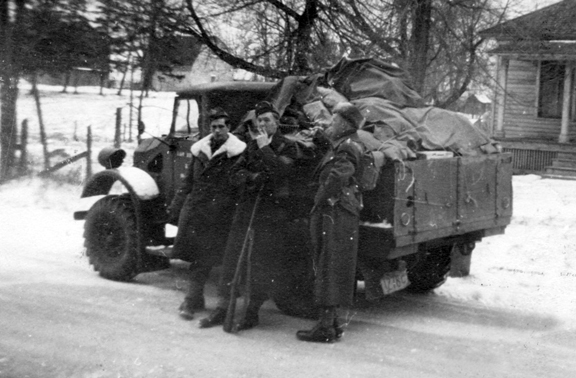 In fact, by the end of 1940, the Canadian Army could only boast 298 wheeled vehicles of all types under the Master-General of the Ordnance (MGO), and approximately 200 more under the control of the Royal Canadian Army Service Corps. 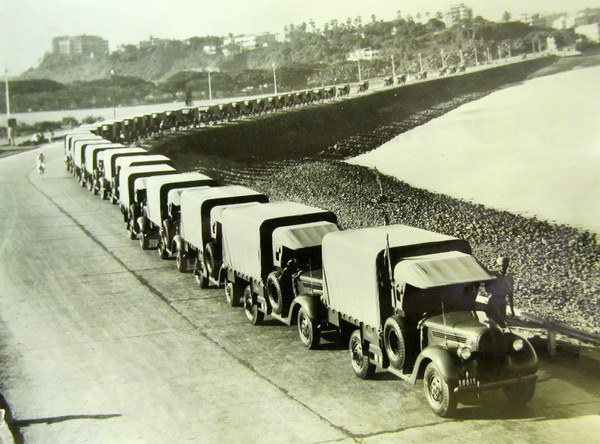 Contracts for large numbers of vehicles would only be signed after the British Army left their Motor Transport in Dunquerque, and the Empire turned to Canada for the supply of military trucks in large quantities. Archival sources used in the preparation of this article are to be found in Library and Archives Canada, Record Group 24, volumes 6293-6297, file block 72, dated 1930-1942.